Whirling Turban bride, Kirsty, in her silk shantung short wedding dress. I was interviewed a while back by Los Angeles times Blogger, Whitney Friedlander. She asked me why there was this interest and trend in short wedding dresses. I told her that I felt it was because tea length wedding dresses now look fresh, chic and original whereas long wedding dresses now so often look clichéd and out of date. It’s so hard to get away from the polyester (plastic), David’s Bridal, quasi-princessy look in a long wedding dress unless you do something very unusual. One might say that since the currently-in-vogue short wedding dresses reference “vintage” that they are hearkening back to simpler time. I hear this all the time about vintage. I myself have a different view about “vintage”. To begin with, it isn’t all vintage that is popular now. For example, a the Gibson Girl look above, or a Louis XIV look could be thought of as a vintage look, yet right now they would look costume-y and uninteresting from a fashion point of view. A 60′s miniskirt style or even a contemporary mini as a wedding dress also looks pretty silly now, in my opinion. What we are seeing now is the popularity of a very specific period which is the “New Look”. To paraphrase the Wikipedia, the signature shape was characterized by a below-mid-calf length, full-skirt, large bust (which had fallen from style in 1912), and small waist. This was in stark contrast to the post-war fabric restriction during World War II in 1940’s, when women could use only about 3 1/2 yards for a dress. This usually meant a fairly narrow A-line skirt, below the knee and short sleeves. When the wartime restrictions ended, Christian Dior introduced a collection Dior that used an extravagant amount of fabric in the skirt – at minimum a full circle – and a very narrow waist contrasting with the full bust. Fashion editors referred to it as the “New Look” which became revolutionary and strongly popular, influencing fashion and other designers for many years to come. Prominent Hollywood figures and the European upper-class became instant clients of Dior. The point here is about “freshness”. Brides today are likely have mothers who wore very unstructured lingerie and comfortable clothing. To work the New Look, you need strong foundations under your clothes to get that bust up and out and that waist nipped in. Full skirts and crinolines haven’t been seen in half a century, so they’re novel and interesting to us now. They’re surprising, delightful and unlike Mom, which is also something that tends to influence fashion. Current designers from Paris to New York are showing this kind of New Look silhouette. So it really isn’t about hearkening back to a simpler time, in my opinion, nor is it about the appeal of “anything old or nostalgic”. It’s a very specific look that we happen to find exciting right now. 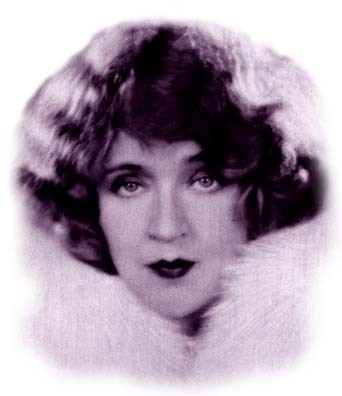 In the late sixties to mid-70s, there was a rage for a 1930’s look. That had nothing to do with “hearkening back to a simpler time”. After the mod early 60’s, the 30’s was quite geometric and a bit space-age, the 1930’s glamour look was in stark contrast and was simply an interesting decade to play with in that context. 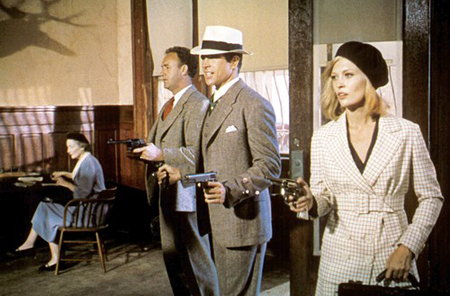 The movie Bonnie and Clyde had come out and had a huge influence on fashion. A multi floor store opened in London called Biba that featured the look of art deco and old Hollywood glamour (from silent films to early talkies). Severely thin eyebrows and bee stung lips with dark brown or funereal purple lipstick were part of the Biba Look that just hit spot on at the time. Rayon, rhinestone studs, platform shoes and skinny girls with big eyes reigned. Fashion is something that is “in the air”; certain people just sniff it earlier than others. These people have what we call style. The short wedding dress with the full skirt and puffy, frilly crinoline is fresh and stylish and interesting today. The reason why it’s stylish now is both as inexplicable and simple as that. Whirling Turban has built our exclusive brand with a fresh but authentic take on the New Look in both dresses from cocktails to barbecues to the short, tea length wedding dresses that comprise about 65% of our business. As the designer for Whirling Turban, I have retained what I think is gorgeous about this era. It goes beyond simply a full skirt or basic pattern shape. It includes the authentic foundations that are worn under the dress. We coach every bride about her foundations and the difference it makes is positively jaw-dropping. These foundations do more than plastic surgery or a year at the gym. We use the fabrics that were authentic to the period; we do not re-create a style halfheartedly by doing it up in polyester or a stretch fabric. Since I am a lifelong seamstress, have fashion school technical training and worked a dozen years doing films for Hollywood, I know how important authentic sewing and construction techniques are to achieving the charm of garments actually made from 1947 to around 1962. We use those techniques to sew all of our garments Whirling Turban, just as one would if one was working on a period film and authenticity was critical. These techniques and details take a lot more time but if you place one of our dresses side-by-side with a vintage garment on the one side and a “retro-inspired” stretch or polyester dress on the other, Whirling Turban will have the charm of the original. I’m very proud of that and the fact that we built our business- from the beginning- with clients who were collectors of genuine vintage from this era. It is often said by vintage collectors that Whirling Turban is the only modern brand they would buy – otherwise it’s genuine vintage only.